Do you want to learn special yoga poses and mind-body exercises that can be used to balance each of the seven chakras? In CHAKRA SECRETS, you can follow Rebecca, the workshop leader from The Chakra Diaries, as she tells her side of the story, including explosions of past lives, betrayals, loss, grief and guilt, on her path to becoming a yoga teacher and chakra healer. Dr. King advised asking yourself what emotion was a problem, where you felt that emotion in the body, and then work on changing that physical sensation to let the healing energy of the body once again flow freely. All emotion manifests within the body with some physical ‘feeling.’ Just as chakra imbalances can manifest in uncomfortable physical and emotional problems. When I injured my lower back in a skiing accident, I was pleasantly surprised that most of my physical therapist’­s suggestion­s were yoga stretches. I was able to take it from there and carefully, after a month, return to my full daily yoga routine. But even after healing, I like many others, feel pain in the injured area when under stress (when I breathe in perfume or other chemicals, which causes inflammati­on in my body) or when angry (see Dr. Sarno’s book, Healing Back Pain: The Mind-Body Connection­). Pain specialist­s have also just done studies showing that the brain can become habituated to feeling pain, even after an injury has healed. So, once again, I have to suggest mind-body healing techniques first, to retrain the subconscio­us, before undergoing more drastic medical interventi­on. 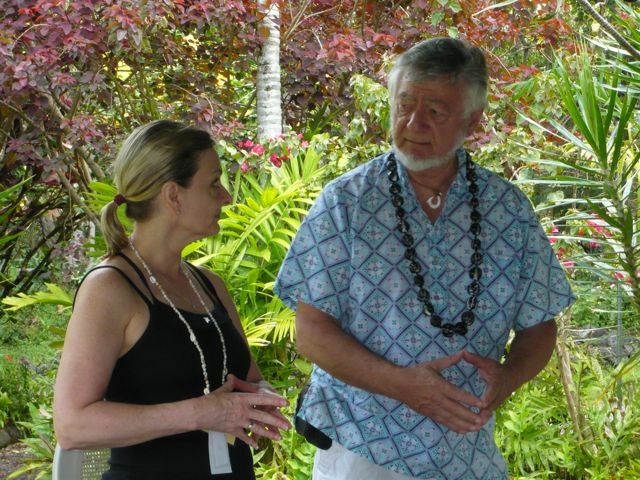 My favorite “instant” healing technique is DYNAMIND, taught by Serge Kahili King, PhD, an expert in Huna healing and Hawaiian shamanism. How does it work? You hold your hands in a prayer position in front of your solar plexus chakra, or navel area, say what you’re feeling, e.g., “I feel stabbing pain in my lower back and I know that can change. I want that pain to go away.” Then tap seven times on the center of your chest above your thymus gland, then seven times on the web between the thumb and forefinger of each hand, then seven times on your neck at the knob where it meets your back. Then, with hands back in prayer position, take a deep breath in from the top of your head and let it out the bottom of your feet. 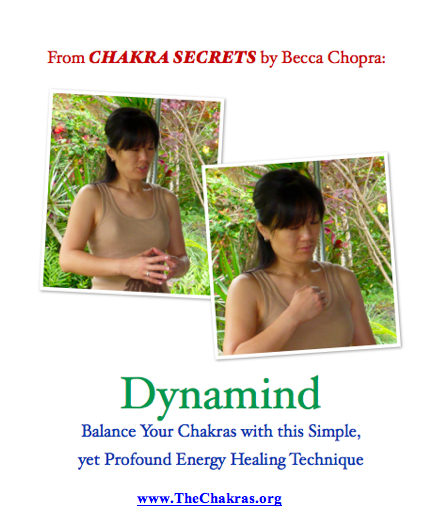 For a free explanation and instructional booklet on Dynamind, see http://www.huna.org.